If you find yourself a victim of coughing, sneezing, or watery eyes, it might be a good time to evaluate the state of your carpet. These things are common symptoms of allergies, but chances are it’s not the carpet you are allergic to. Instead, you are probably suffering from a reaction to carpet allergens. Carpet allergens are simply various particles that gather together and nest in the floor underneath your feet. You are often walking directly over layers of dust mites, fur, hair, dead skin, dirt, mold, and other allergy-stirring components without even realizing it. As these allergens accumulate, they can cause you to react as you would to any other allergic exposure, such as pollen. If you are used to feeling a little sniffly around the carpet, you might shrug your shoulders and ask, “Why does it matter?” The fact is, continual ingestion of these particles can be harmful to your breathing and cause future medical problems. 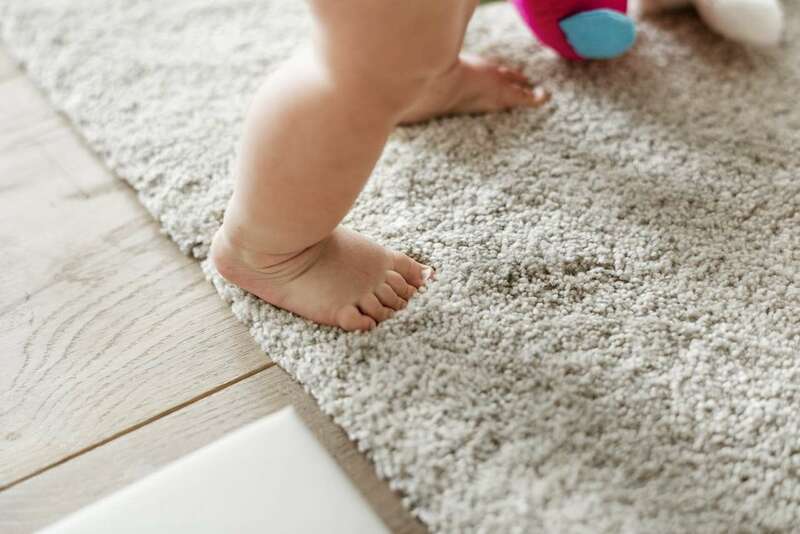 Additionally, if you have small children who walk or crawl close to the floor, they are constantly inhaling dust and dirt, which can be very hard on their tiny immune systems. For those who suffer from severe allergies, professionals suggest entirely eliminating carpet from the home. However, for those who simply are a little dust-intolerant, there are a few simple fixes. 1. Invest in a good vacuum cleaner. One of the most common carpet-cleaning mistakes is vacuuming with that clunky, 17-year-old vacuum cleaner that has been in the utility closet since you moved in. Low-quality vacuum cleaners perform low-quality work; while they might do the trick in picking up that visible top layer, they rarely touch the particles that are nestled deep in the carpet. Investing in a newer model with a HEPA filter and using it to vacuum 2 or 3 times a week will go a long way in eliminating allergens. Before particles reach the carpet, they have to float through the air. Dusting regularly (especially with a wet wipe) can keep dust particles from floating through the air and landing on the carpet. Of course, there will always be particles in the air no matter what, but staying on top of the worst of it will certainly help. 3. Schedule professional carpet cleanings. Vacuuming and dusting are important, but they don’t do the whole job. Beyond your regular maintenance, you should have your carpet cleaned professionally at least twice a year. This involves a detailed shampooing and drying of the carpet and actively helps rids your carpet of allergens and dust mites. Why is it important to schedule professional carpet cleanings? Think of it as your 6-month trips to the dentist. You probably brush your teeth several times a day. However, it is beneficial to your oral hygiene to schedule that deep cleaning professionally several times a year. It works the exact same way with personal vacuums versus professional carpet cleanings. Carpet allergens can cause a lot of health problems. Clean air and a clean home are the key factors for allergy relief.